These trees are worth visiting more than once. Especially since they're tricky to photograph! 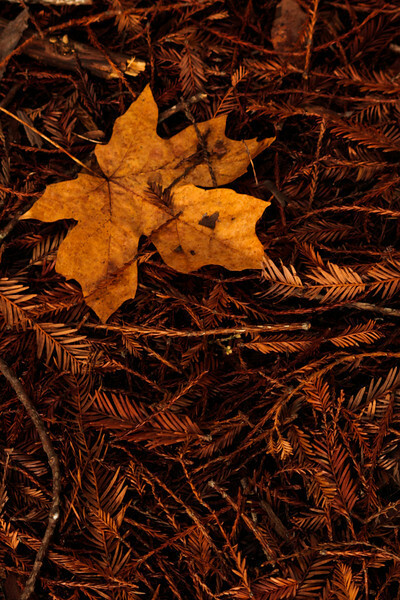 Redwood leaves offer a soft backdrop for a single maple leaf under the redwoods of northern California.